As we all know, if the decoration is of Chinese style, most of the decoration materials will be mainly wood. Because of its beautiful appearance and easy processing, it is very popular among decoration designers, but the price of wood itself is very high and it is easy to get wet. Therefore, more decoration construction workers will use wood-plastic materials as substitute materials, and their products are very popular because of their low price and stable performance. What are the advantages of the wood-plastic material in addition to low price and stable performance? 1. Wood plastic composite profiles have the lowest loss. 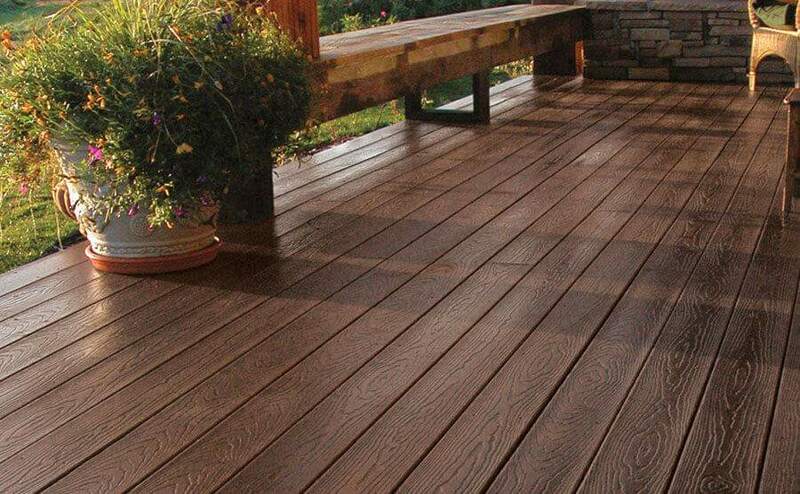 Wood plastic composite is a profile that can be produced according to the needs of customers. but the length of all the wood products of the wood products is stipulated. The customers should cut according to the actual situation at the project site (site), which will inevitably result in material waste. 2. 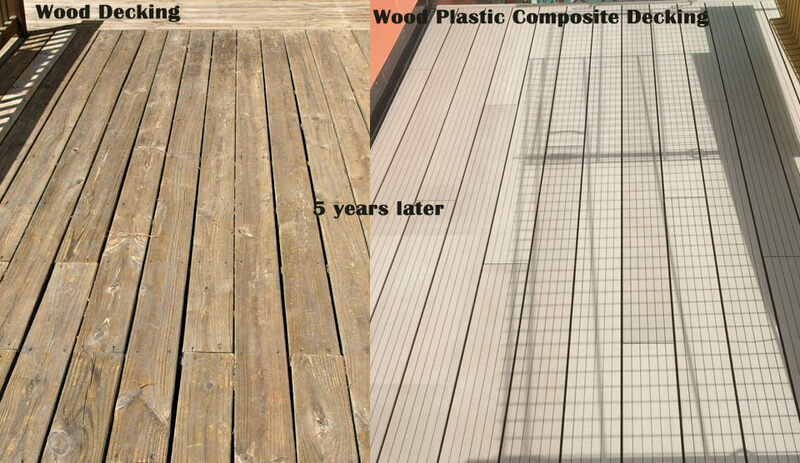 Wood plastic composite products can win more. For example, when an engineering project is to be paved with an outdoor floor, in the case of wood, a thickness of about 45 mm is required. 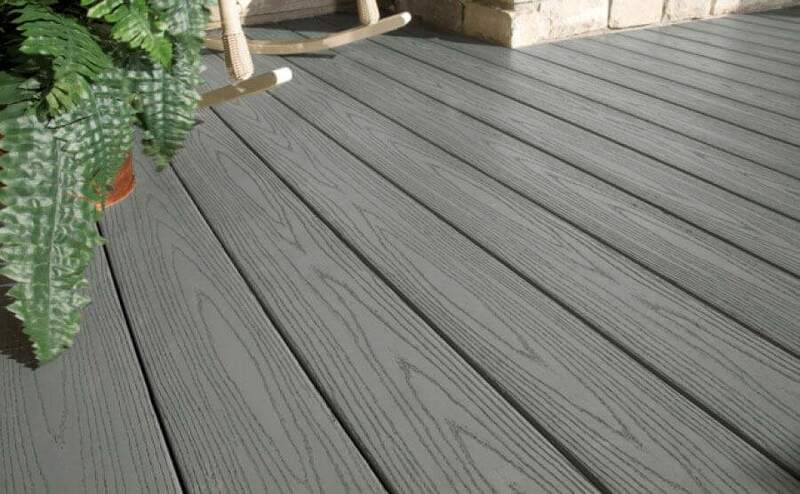 For wood plastic composite decking products, only 25mm thick material is required, and its strength exceeds 45mm anti-corrosion wood. In other words, if the use of wood is 1 cubic meter, then wood plastic composite product only needs about 0.5 cubic meters. 3. The unique structure of wood plastic can save materials. 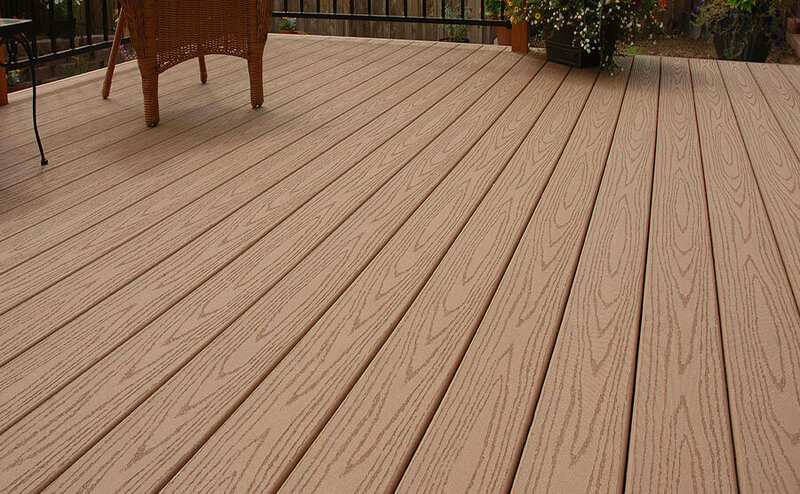 Wood plastic composite is a profile with a lot of hollow decking specifications. It can save a lot of material. Everyone knows that aluminium alloy doors and windows can be popularized so quickly because it is a hollow profile. If it is solid, the price is incredibly high. 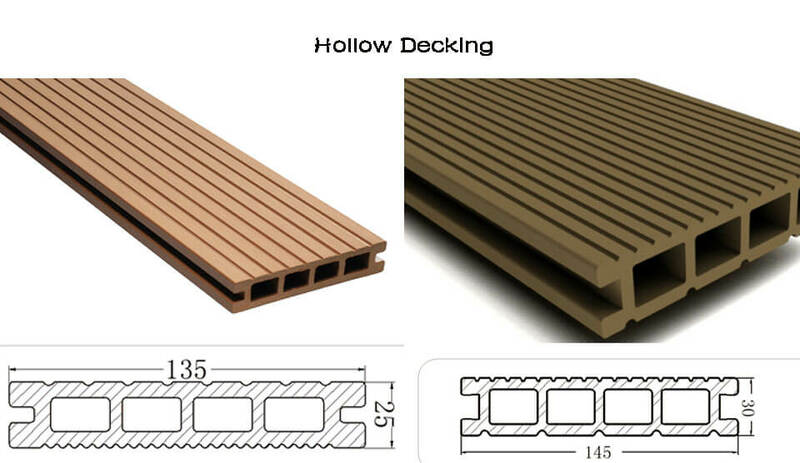 The savings in wood plastic composite hollow decking, although not as high as aluminium alloys, are considerable. Wood plastic can be hollow, but the wood product is impossible. 4. The wood-plastic surface does not need to be painted. Generally, wood needs to be treated with surface paint or water-based paint, which increases construction difficulty and extra time. The use of wood-plastic products saves time and installation costs. 5. Wood-plastic products can be maintenance-free. Wood generally needs to be maintained or painted in one year. In the long run, the maintenance cost of wood-plastic is far below that of wood products. A true wood substitute that creates the “second forest”. The lack of natural wood resources has become a worldwide problem, so the birth of wood-plastic products is produced in a suitable environment, in line with the development of the times.